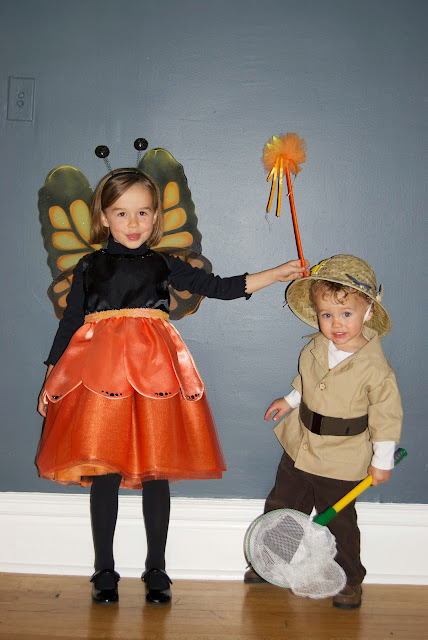 Halloween greetings from our butterfly catcher and his very own monarch butterfly. I'd like to tell you Charlie was just getting into character, but no, he runs around swinging things at his sister's head all the time. 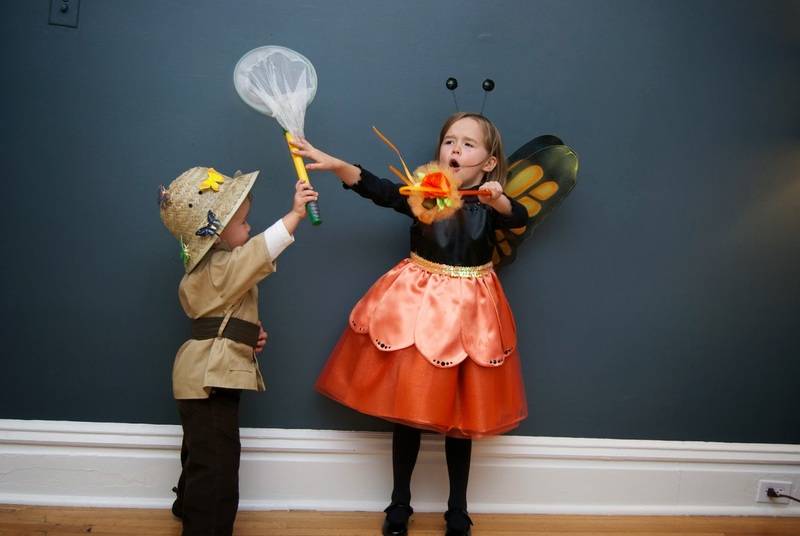 He got a net and she got sparkles and a fluffy dress. Everyone wins. Major thanks, as always, to my mom for cranking out killer costumes in no time. We are spoiled. This pictures are both hilarious and adorable. Par for the course when it comes to MC and GCL4.